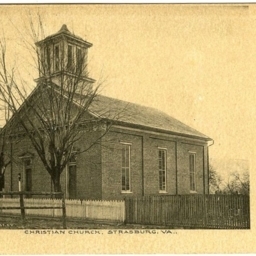 Postcard showing a picture of the Christian Church in Strasburg Virginia. The card includes a description of the church and its history. 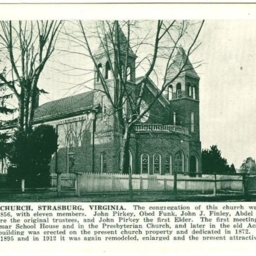 Postcard with a picture of the Christian Church in Strasburg Virginia before its major renovation in 1912.